Olive played an important role in human history, it left a strong imprint on religion, mythology, culture of food, healing, sports and beauty. Some debate if it is a fruit or a vegetable but all agree it is a magical plant. The color can vary from intensive green, grey, reddish, brown and black just as the size may vary too, from small as hazelnuts, round, oval, up to big ones as walnuts. The backbone of Mediterranean diet and the Mediterranean life itself is well known liquid treasure – the extra virgin olive oil. It is not only food and spice in the kitchen, but it is a medicine. Croatian olive oil is distinct by a specific fruity aroma of moderate bitterness, a pleasant fragrance and a healthy green color. The principal aspects of this diet include proportionally high consumption of olive oil, legumes, unrefined cereals, fruits, and vegetables, moderate to high consumption of fish, moderate consumption of dairy products (mostly cheese and yogurt), moderate wine consumption, and low consumption of non-fish meat and non-fish meat products. UNESCO organization made Mediterranean diet an intangible heritage and added Croatia on the list in 2013 along with Italy, Spain, Greece, Portugal, Cyprus and Morocco. The Mediterranean diet requires a special set of skills, rituals, and traditions linked to harvesting, fishing and other food collecting activities. The importance of conservation, preparation and cooking process really step forward when it comes to sharing and consumption of the food. Dining together is the essential foundation of Croatian national and cultural identity. The Mediterranean diet also puts a great emphasis on hospitality, creativity, intercultural conversation and is a solid bedrock of all festive celebrations and social events. In Croatia, the most olive oil is produced on the island of Brac, which has about 500,000 olive trees. 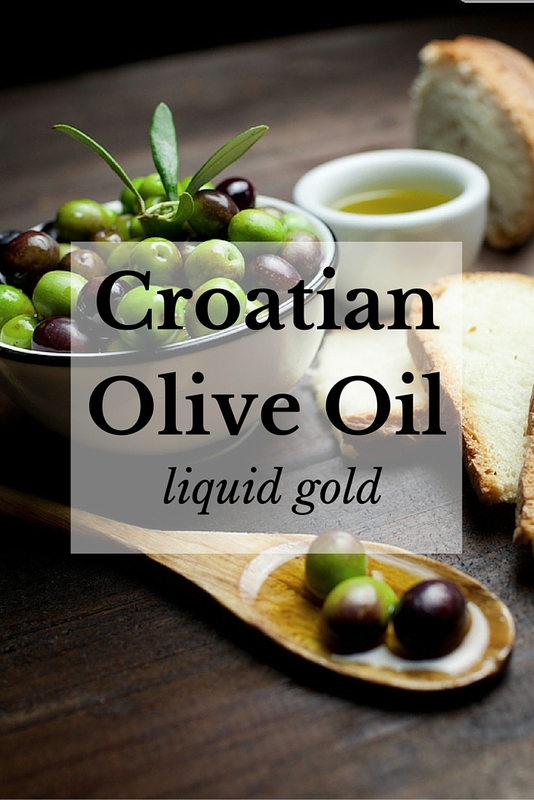 When Croats first arrived on Brac there was already an olive oil production set up. Venetian laws at the time required regular planting of olive trees, there were even prescribed penalties for those who did any kind of damage to the trees. If a young man wanted to get married he had to plant 100 olive trees in order to do that. This was to maintain the tradition and provide future for his family. Island of Brac became a true superpower in olive oil production between 16th and 19th century. In this period there were about 3 million olive trees on the island so it comes as no surprise that the olive tree is the emblematic symbol of the island. Unlike wine, which gets better with age, olive oil loses its quality over time and is best used within one year from production. Traditional methods of planting, growing and harvesting the olives are transmitted from generation to generation over the years. Olives are picked by hand from mid-October to mid-December. Read more about the Croatian harvest traditions . Fascinating benefits of olive oil for human health have been recognized in the past 20 years. Although olive oil has been used since the biblical times, today the nutritionist and health experts come forward with new studies prooving its wonderful assets. Soothing effects are related to the best quality olive oil labeled as extra virgin olive oil. Premium class oil is rich in best sort of fatty acids. Oleic fatty acid found in olive oil is the most similar to the one found in breast milk. It is full of antioxidants and has gentle anti-inflammatory and analgesic effects. Studies have shown that the people who consume olive oil as their primary source of fats live longer. Mediterranean easy style of living, linked close to nature and the sea, abundant in fresh natural foods is a way to go. Near the city of Pula in Istria, lovely little town Vodnjan has settled. Every year in the midst of the harvesting season a beautiful manifestation is held in the name of olive oil. This years 11th Days of young olive oil are about to bring olive oil lovers and producers again together during the two days of November (13.11.-15.11.2015). This beautiful trade fair is known for its hospitality and the friendly atmosphere. Visitors can enjoy in local delicacies and taste the delicious dishes drizzled with various types of olive oil. This year’s program announces a handful of interesting events, rich cuisine, olive oil tastings, lectures and panels on topics close to olive growing and agriculture. Do you include olive oil in your diet or beauty routine? Are you a fan of Mediterranean cuisine? Did you know that Brac has such a strong olive oil making tradition?